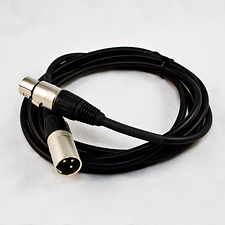 Our Ultra MC00's Cable is Canare L-2T2S and the xlrs are Neutrik. This cable is available in Black only. You can choose different color shrink wrap to go at the cable ends. Please choose cable length, and shrink tube color when ordering.